On Sunday afternoon – a sunny day with a clear blue sky – the steps leading down from Powerscourt Centre onto South William Street were unusually empty of people, and wet. As the steps began to dry up, at about two o’clock in the afternoon, a staff member, a man in a blue t-shirt, came out and watered them again, with a hose that is kept off to the side. On Monday, the steps were occupied again, by people taking the weight off their feet for a few moments in the bank-holiday sunshine. For years, the steps of the Powerscourt Centre have been a popular sitting spot and sun trap for people on lunch breaks, or others enjoying a pint from one of the local pubs. 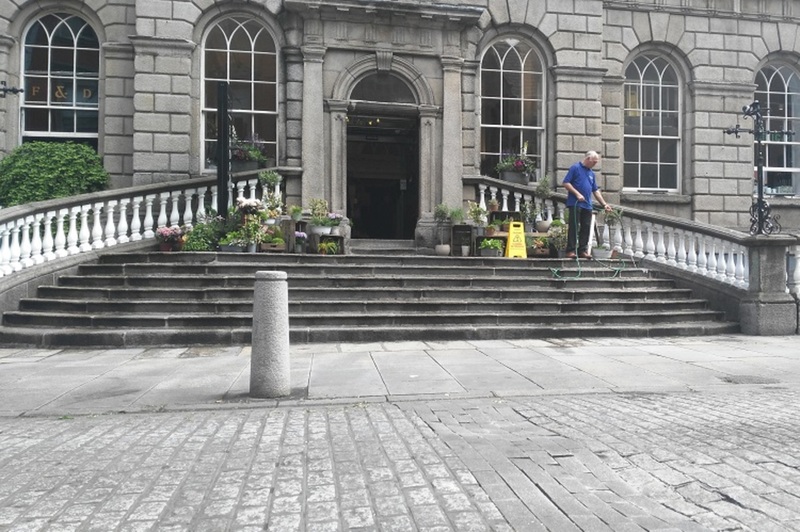 For the past few weeks, though, some people have mentioned how Powerscourt staff are regularly hosing down the steps to stop people sitting there. The manager of Powerscourt Centre says they do it because the way people use the steps when they sit there can cause heath, safety and litter issues. 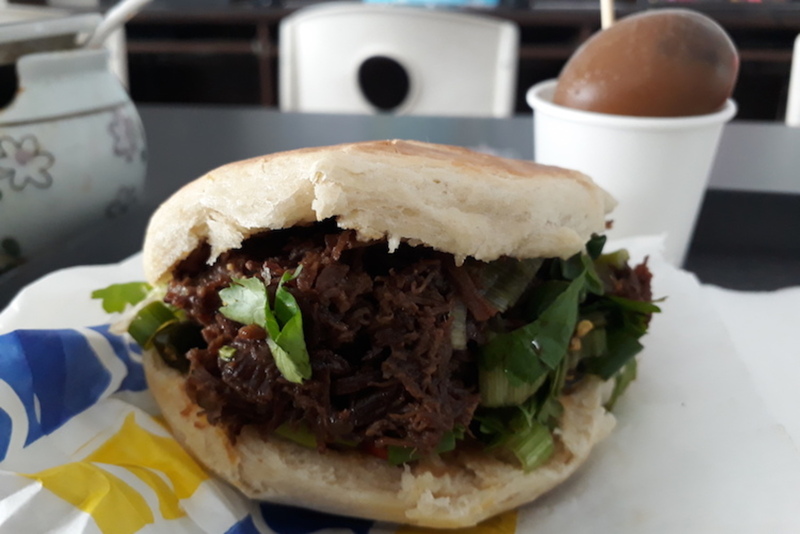 It doesn’t really affect his restaurant at all, says Simon Hanlon, manager at Gourmet Burger Kitchen across the street. But he doesn’t really see the point of watering the steps, he says. “They want to stop people sitting and enjoying the sun,” says Hanlon. But people have been doing that for years. It seems a waste of water, too, he says. As far as he knows, people seem to clean up after themselves, and don’t cause any harm. “There’s always a good vibe in the area,” he says. Hanlon picks up a regular refrain among Dubliners. That there should be more public seating in general across the city, and that it would draw more people in. On Monday, Tara Raftery was sat on the steps alongside a friend. Above them, the Powerscourt Centre had already closed for the day. It’s a relaxing place for couples, or groups, to meet to talk, she says. “The thing is, in Ireland, it’s so rare to have this weather,” said her friend Olga Sestaka. The two have been walking around, looking for a place in the sun. “This was the only spot we could find,” she says. Raftery says she has seen rubbish left there. “I have seen broken glass here before, some people deliberately smashing a bottle,” she says. That was teenagers playing a drinking game. “Even if they hose the area down, they’re just pushing the butts onto the footpath,” says Raftery. A petition might be in order to stop it, she says. It’s not often that the weather is so fine. The steps are watered every day and all day, says Philip Flannery, from Farrier and Draper, the restaurant next door. But “it’s private property, it’s not public seating”. “The steps are the main fire escape for the entire shop,” says Flannery. It’s one of the main entrances and exits. “Fifty, sixty or seventy people with pints will stop people entering and exiting the building,” he says. Flannery likens the situation to the banks of the Grand Canal, or the lawns of Stephen’s Green, where people often leave rubbish at the end of a warm day. 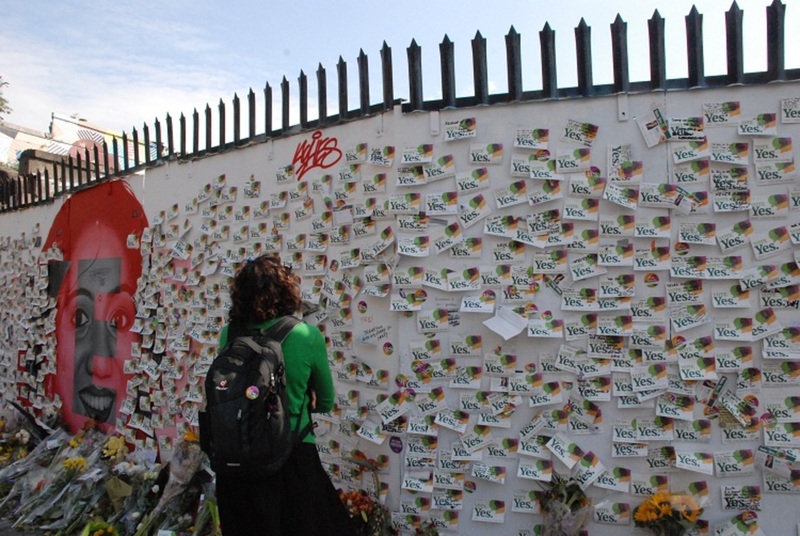 “If people had respect for the space, a compromise could be reached,” he says. Customers feel intimidated when they have to walk around people, says Powerscourt Centre Manager Mary Larkin. “People are sitting there and leaving stuff,” she says, so they have to be careful. Broken glass and leftover food left on the steps is a continuous issue. “There are a lot of people leaving glasses. If someone steps on them, it’s on the centre, not on the council,” she says. Larkin says she understands that people want to sit there when it’s sunny, but it’s the entrance to a shopping centre, not a public park. 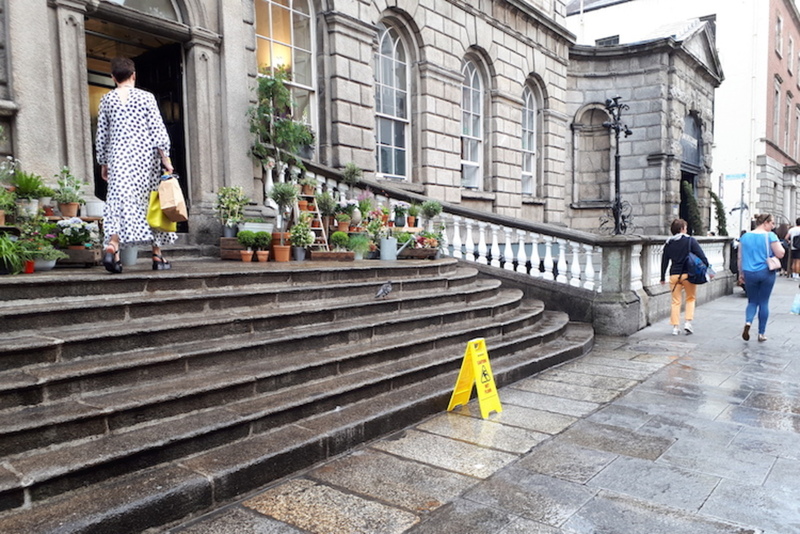 Labour Councillor Andrew Montague says people sitting on the Powerscourt steps is really a reflection on the lack of public seating in Dublin. “The city isn’t providing enough,” says Montague, the chairperson of the council’s planning committee. Perhaps Powerscourt could be a bit more accommodating. But “it just highlights a real lack of facilities in the city centre”, he says. Dublin City Council’s “public-realm strategy,” does include adding more seating, says Montague. 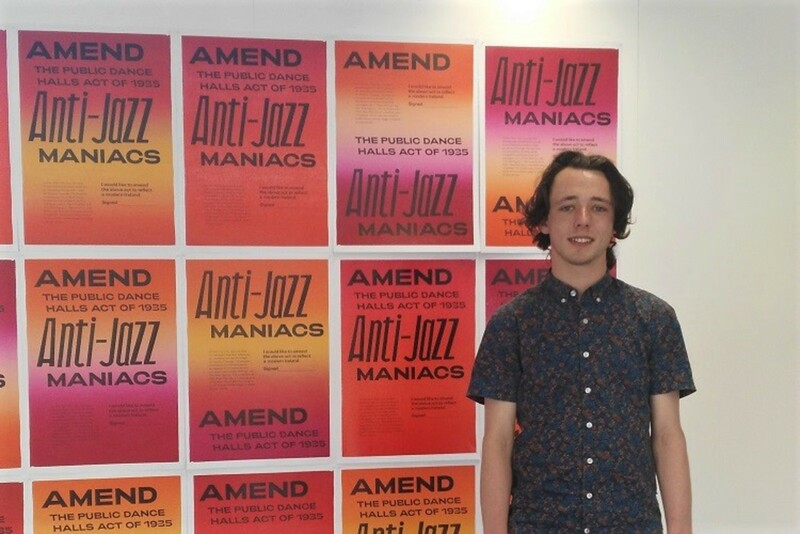 “It’s full of good ideas but it’s got a really long time frame,” he says. Dublin is an old city, and “to that end pressure of space for all the functions to be accommodated on a public street is a challenge”, said a council spokesperson, by email. The city’s public-realm strategy “identifies the need for small lingering and rest spaces around the city which allow for rest and unique experience of the city”, said the spokesperson. The reality is that Dublin has been changed to become little more than a shopping rat run back and forth between Grafton St and Henry St – DCC has no interest in a Living City- they want people shopping… and then gone. South William St itself is a pedestrian nightmare with narrow footpaths not even wheelchairs could get down, and far too many parked cars when there are ample car parks in the area. I remember this practice happening there around 20 years back probably with same motivation. Between that tine and recently I haven’t heard much about it. With the absence of public seating in Dublin City centre, there’s really nowhere to sit apart from the few parks. Businesses seem to expect you to walk around and only sit in cafes which is so very short sighted. The more comfortable the public space in the city the more likely for people to spend more time there which will benefit business in the long run. Powescourt wouid want to wise up and have a good look at themselves here. If DCC are serious about a “Living City”, then there is absolutely no good reason that the whole Drury, South William, Clarendon St area should not be pedestrianized. It is a closed loop within which 80% of the available space is given over to a relatively large number of cars containing a relatively very small number of people so that they can make their way to BT and Drury St Car Parks or drive around in circles looking for non-existent street parking. 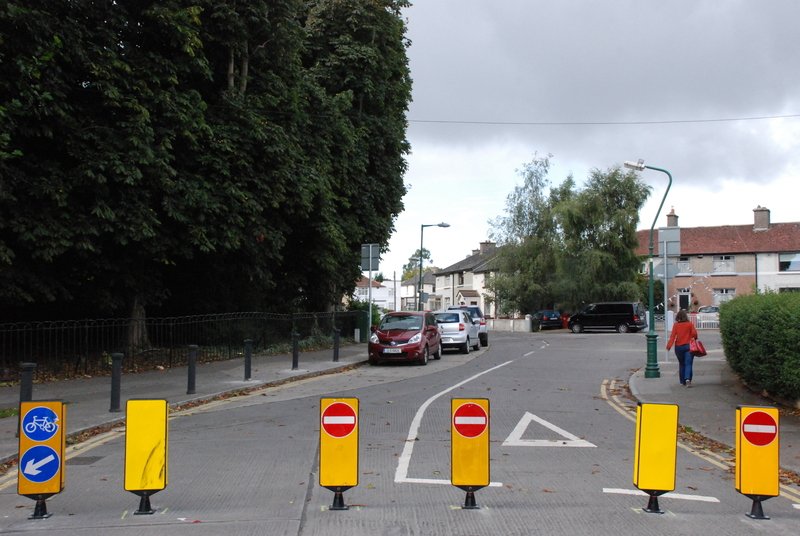 An automated bollard system could be put in place for deliveries and residents as is done across Europe. Unfortunately, the Dublintown and motoring lobbies will ensure this does not occur any time soon despite the obvious advantages as it may slightly impact custom from wealthier clients and it will obviously eradicate the Car Parks in this area. They ultimately hold the power here as they are organized and vociferous against a largely disengaged public. Good! Maybe I can get in and out of Powers Court without the withering looks from the loiterers who need to move their picnics to the side so actual shoppers can pass. I notice that in Trinity they have every possible green area tourists might sit and enjoy the sun cordoned off with ugly crime scene type tape – looks pretty tacky indeed. And of course there is practically no seating anywhere bar about 3 benches. I imagine DCC can’t wait for the miserable cold and rain to come back- perish the thought the public might actually hang around and enjoy the place. It explains why there is so little rain shelter in the city either- Dublin is now just a big brand shopping conveyor belt. I always felt so much pressure to move in Dublin City Center. I remember it caused me a lot of anxiety actually. Even Henry St. and Grafton St. could feel like rushing rapids despite all the space for pedestrians. It’s a shame that Powerscourt has pulled the plug on one of the few spots to sit, but it just means the local authority has to step up. It would be great to see more public spaces like that seating area on Essex St. outside the Smock Alley Theatre.